I don’t really go crazy about Halloween. I do it for the kids. I don’t dress up. I don’t do Halloween sewing. And I don’t keep it a secret (actually I am not crazy about holidays in general but that’s a whole different post). 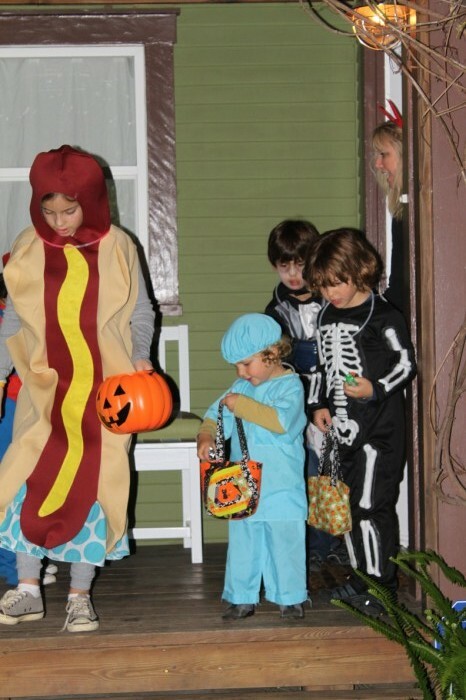 This year however… no I did not dress up… I did some sewing – my guys needed new trick-or-treat bags. 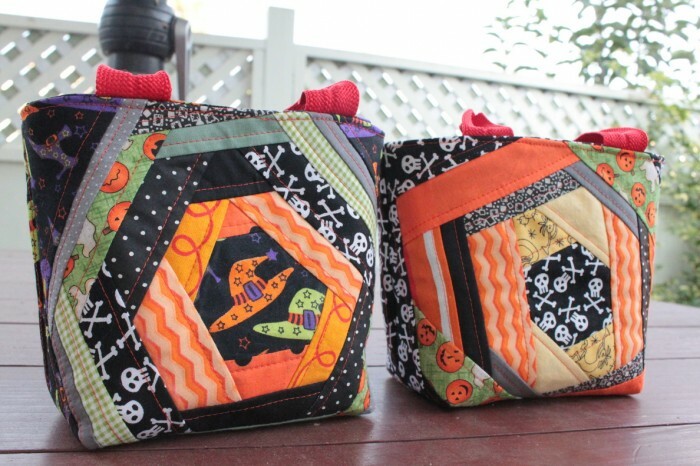 I was inspired by Pink Chalk Studio Spider Web Log Cabin Tutorial and used the Quilt As You Go method to create these little trick-or-treat bags. 4 in total – 2 for our friends as a present and 2 for my little guys. 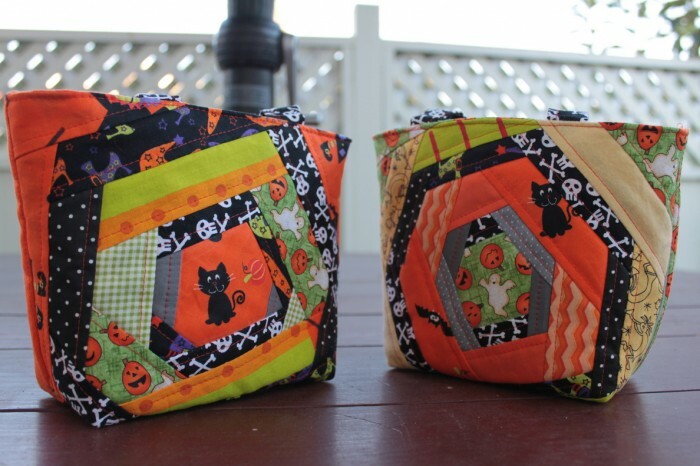 I didn’t have a lot of Halloween fabrics, so I used other stash black/gray/green/orange fabrics, but I am quite happy how they turned out. By guys liked them, and that’s what counts. They were parading around the hose all day with them. They are quite small (made on purpose) so they were quite happy when they filled them up with candy – Sven kept saying “Mommy, I have too much. 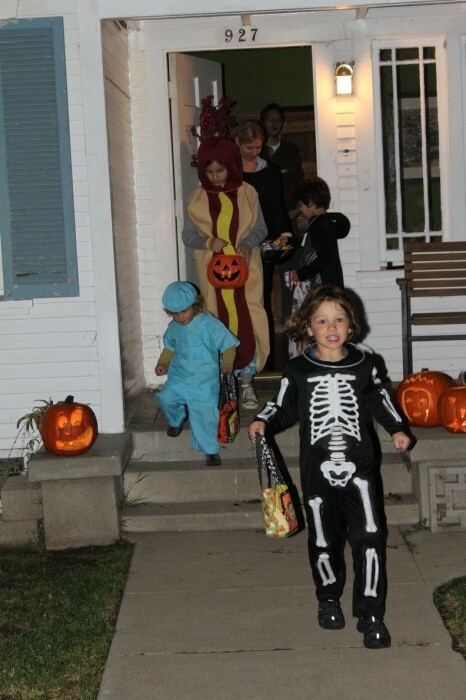 Too much candy.” Good problem to have, no? This entry was posted in fabrics, making, quilting, sewing on November 1, 2010 by flekka.